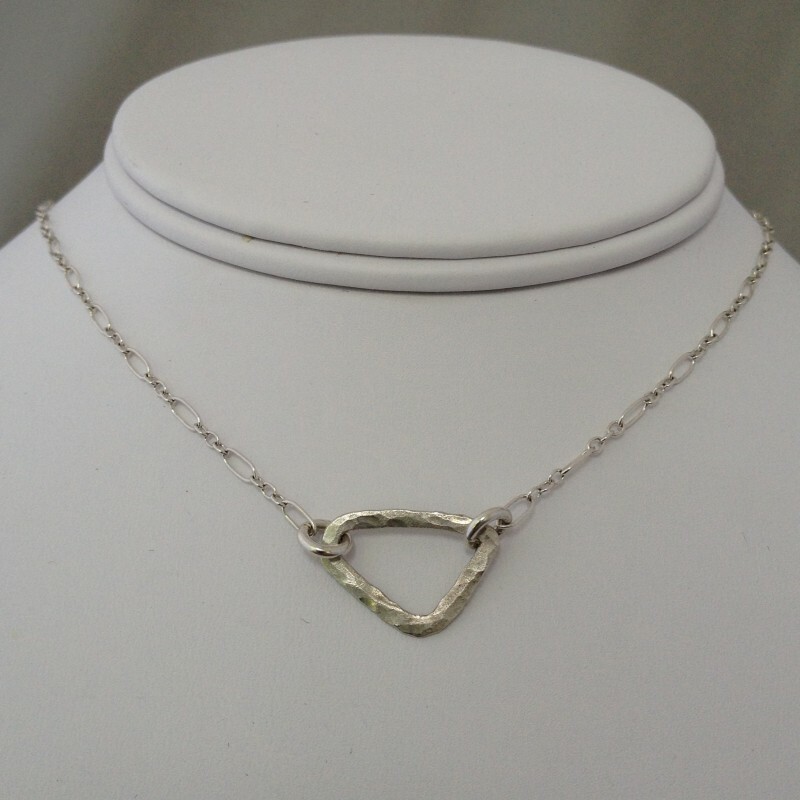 Sterling silver delicate and sweet necklace easy to wear for everyday and special occasions. 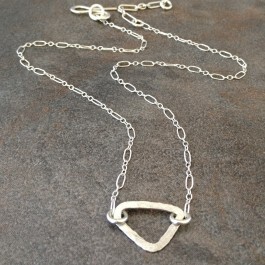 Handcrafted and hammered irregular heavy gauge sterling silver triangle is the center of a dainty and delicate necklace. 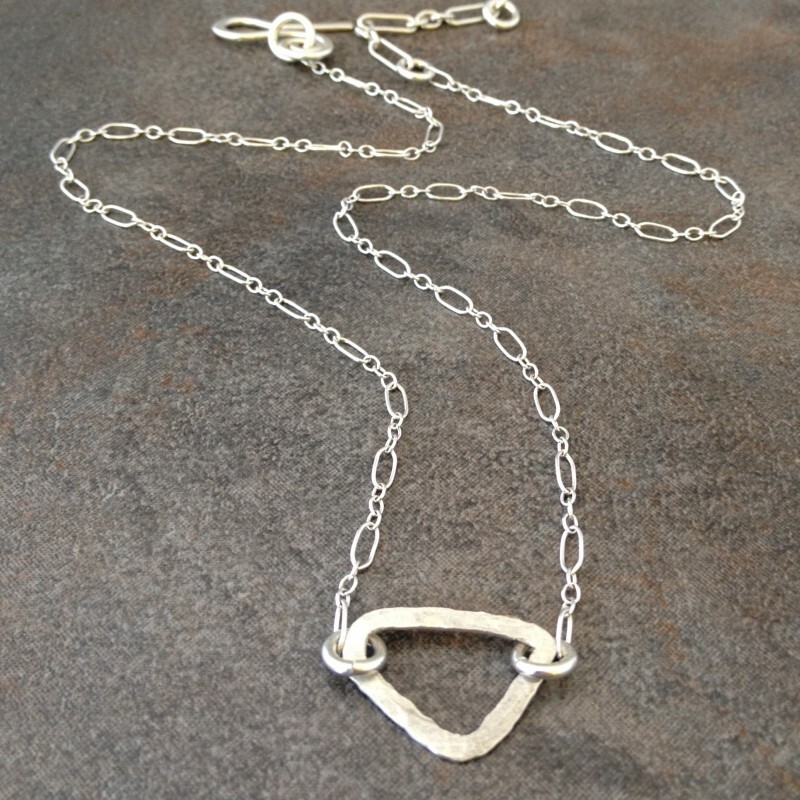 The triangle hangs on a sterling silver chain with a handmade clasp. Triangle is about 3/4" long. Adjustable length 16"-18".